Maybe you need a site inspection to confirm the shed, garage or building is suitable for your preferred site, terrain and aspect? Review and discuss the final detailed inclusions of your quote with your Ranbuild dealer just to make sure everything is agreed. 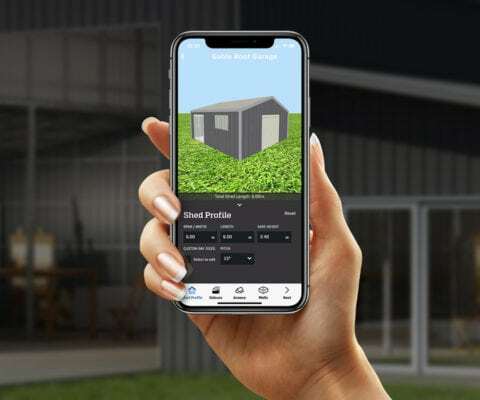 Once final approval and agreement is reached, you pay 10% of the quoted price to secure your order and draw up the engineering plans for your shed. Generally this is a speedy process, only taking approximately 48 hours to produce the plans if there are no modifications. The engineering plans will also include a comprehensive BOM (Bill of Materials) and elevation plans. These plans then go to Council for approval, either you or your dealer can do this. Once these plans are approved, a 40% payment is required to commence the manufacture of your shed. The process to manufacture your shed is 4 weeks and this will be confirmed with you by the dealer. The final 50% payment is due approximately 1 (one) week prior to the delivery on site. Delivery of your shed will not be possible without this payment. All payments can be made by EFT or direct deposit to the dealer, they will provide you with their bank details and preferred method of payment. The delivery is direct to the building site and all materials are crated, shrink wrapped and delivered on pallets. The BOM supplied with your engineering plans serves as a manifest for checking that all the components have been delivered.